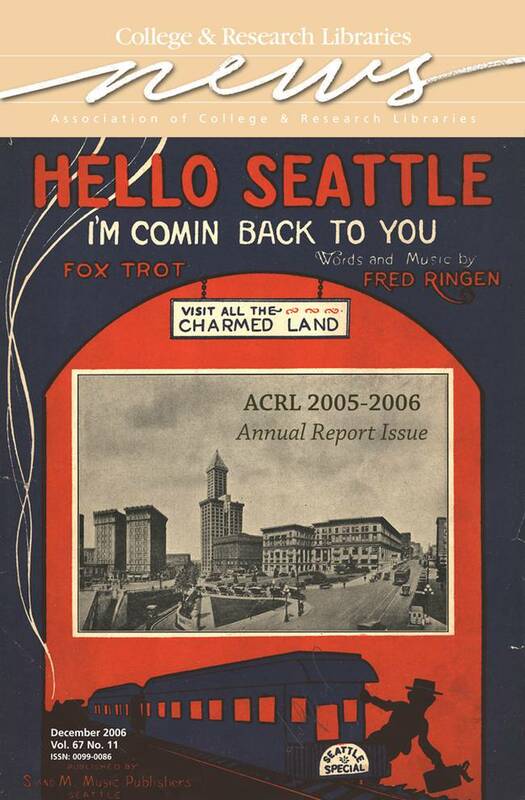 The cover illustration is from the sheet music “Hello Seattle, I Am Coming Back to You” by Fred Ringen (University of Washington Music Library. Ashford Sheet Music Collection). The picture shows downtown Seattle at the beginning of the 20th century, with the tallest building in the West at the time, the pyramid-topped Smith Tower. The building still stands today on 2nd Avenue and is considered the “venerable old man of the Seattle skyline.”1 The Smith Tower, finished in 1914, was named after Lyman C. Smith of Smith-Corona typewriters.